Dean from Australia: The Recipient - Update No. 4: Cover Art Reveal - The Recipient by Dean Mayes. The Recipient - Update No. 4: Cover Art Reveal - The Recipient by Dean Mayes. 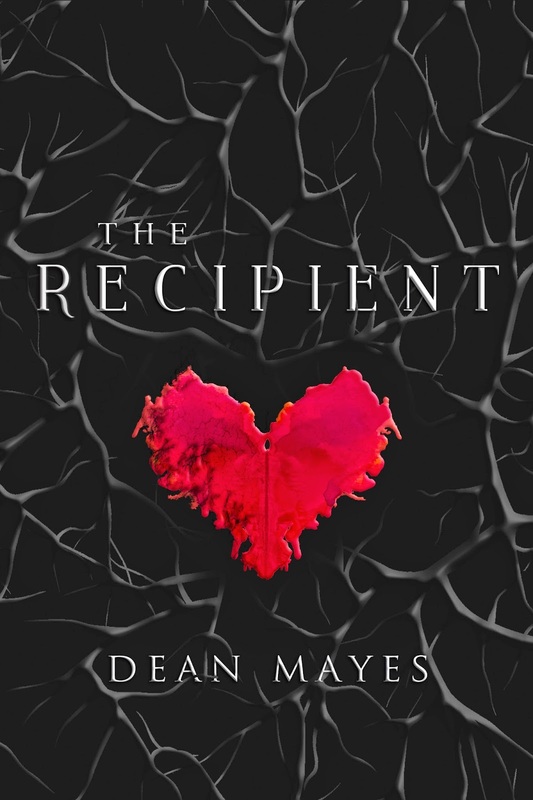 Central Avenue Publishing and Dean Mayes are proud to reveal the cover art for Dean's highly anticipated new novel "The Recipient" which is scheduled for world wide release in October 2015. A tense and pulse pounding thriller, in the tradition of Jeffrey Deaver and James Patterson, The Recipient promises to be a significant achievement for Dean Mayes (The Hambledown Dream, Gifts of the Peramangk). "Fans of Dean's work will not be disappointed. His flowing prose and ability to create engaging characters come through again – but this time they’re coupled with a scary, gripping story" - Michelle Halket, Creative Director, Central Avenue Publishing. The story follows Casey Schillinge, a young heart transplant recipient who undergoes not only a life-saving operation but upon recovery, a life changing transformation. Three years later, Casey has become a withdrawn shell of her former self: she is estranged from her loved ones, afraid of open spaces and rides the line between legitimate and criminal work as a computer software specialist. The worst of her troubles come in the form of violent night terrors; so frightening that she resorts to extreme measures to keep herself from sleeping. When she can take no more, she embarks on a desperate search for the source of her dreams. In so doing, she makes a shocking discovery surrounding the tragic fate of the donor whose heart now beats inside her chest. As she delves deeper into the mystery of her donor, she realizes her dreams are not a figment of her imagination, but a real life nightmare. An exclusive excerpt from the novel is live now at Central Avenue Publishing's official site. The Recipient is scheduled for an October 25th, 2015 global release in print and digital formats.